Are you wanting to decorate your bathroom in a maritime theme? Maybe you have a child who loves the underwater world? 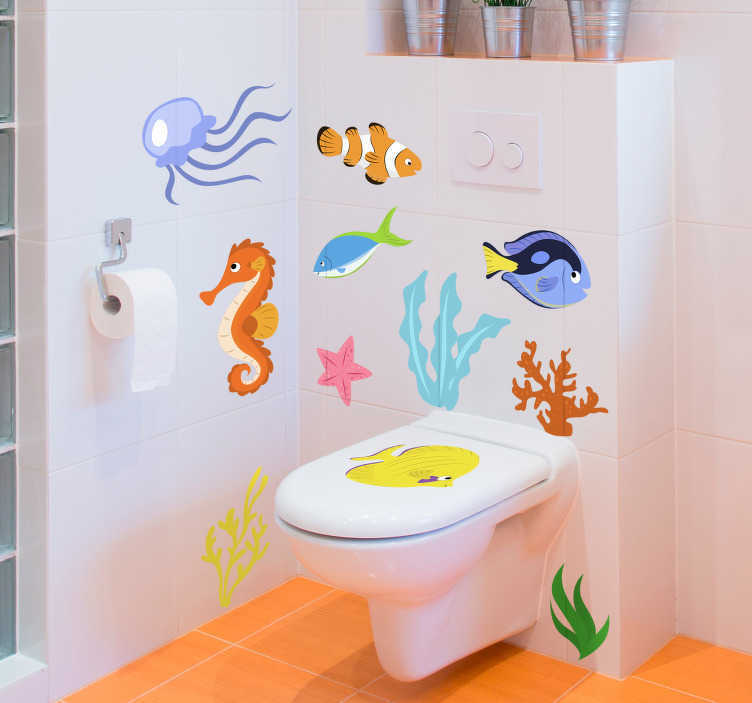 If so, then this bathroom fish sticker is ideal! Presents a group of fish swimming around and looking oh so comfortable in their environment! Ideal art decor for those children who want a fun and charming place to do their business! The stickers would come on a sheet so they can be applied to your own wishes!